Mr. Jennings has been making wooden treenware for 28 years after 10 years in underground coal mining in West Virginia. 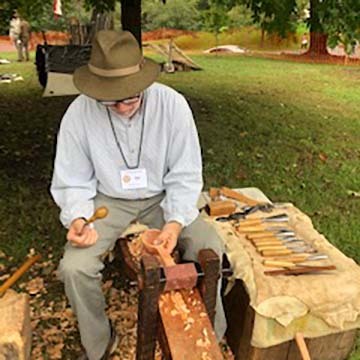 Most of his teaching experience has been teaching employees the art of spoon making. When not making treenware, Mr Jennings is President of the Save the Tygart Watershed Association. He has long been an artisan at the annual Waterford Fair.